The mere thought alone conjures up the lofty image of rolling green vineyards and charming châteaus nestled in the beautiful countryside. While it’s no secret that France is home to some of the best wine regions in the world, you may be surprised to know that great French wines go beyond the bougie bottles that hail from the prestigious vineyards of Bordeaux, Burgundy, Champagne, and Provence. Allow us to introduce you to the Languedoc region. Languedoc is the largest wine region in France, producing one-third of the country’s organic vinculture. Located in the south of France, the Languedoc extends from the dazzling blue waters of the Mediterranean to the foothills of the Pyrenees. Often overshadowed by its glitzy and tourist-ridden neighbor, Provence, the Languedoc region is a hidden gem that boasts a rich Medieval history, stunning scenery, sun-soaked beaches, pink salt ponds, castles and most importantly, excellent wines. In fact, the Languedoc is the largest wine region in France, producing one-third of the country’s organic viticulture. Described by some as the “New World of the Old World,” the vintners of the Languedoc are bound by fewer traditions, making this region a frontier for experimenting with all sorts of winemaking styles and techniques. The most common wines produced in the Languedoc region are red blends, typically made with combinations of Grenache, Syrah, Mourvedre, Cinsault, and Carignan. 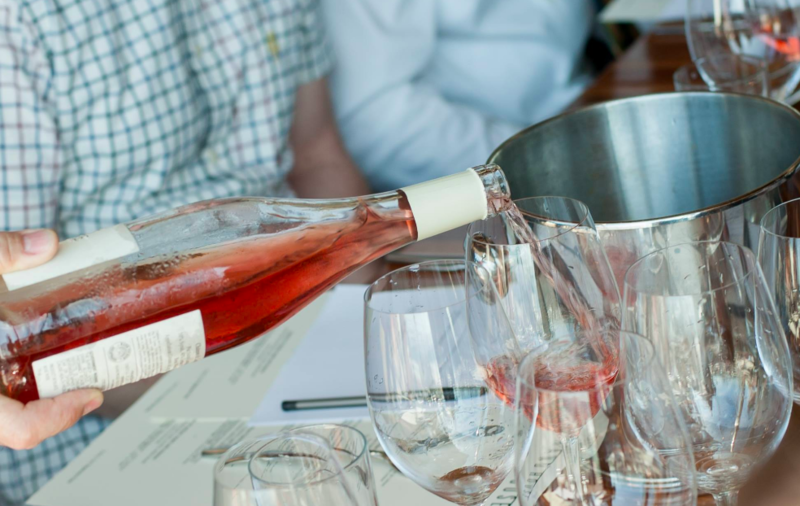 These same grape varieties are often used to produce dry, fruity rosé wines. The region also produces still white wines from Grenache blanc, Marsanne, Roussanne, and Piquepoul. As people search for new wine discoveries and experiences, an increasing number of wine drinkers are turning to the authentic, quality wines of the Languedoc region. If you travel along the coast to Mèze near the “Bassin de Thau,” a lagoon home to bright pink flamingos and top-notch oysters, you’ll discover Domaine Félines Jourdan. The beautiful 40-hectare estate uses sustainable viticulture to produce excellent Picpoul de Pinet, a dry white wine named after it’s crisp acidity; it is said that ‘piquepoul’ roughly translates to ‘lip stinger’. If you’re a fan of fizz, the Limoux appellation produces bottles of bubbly, such as Blanquette de Limoux, which is believed to be the world’s first sparkling wine invented by the monks of Saint-Hilaire in 1531. There is written evidence dating to 1544 which shows that the monks of Saint-Hilaire were making sparkling wines in the traditional method even then! Last but not least, sweet fortified wines made from Muscat, called “vins doux naturels,” are also produced in the four sweet appellations of the Languedoc. There’s also Château de Pennautier, which lies not far from Carcassonne, the medieval walled city that resembles a giant enchanting castle. Built in 1620, the Château, which was designed by Versailles architect Louis Le Vau, now serves as a historic monument. It’s surrounding vineyards are mainly planted with cabernet sauvignon, merlot, chardonnay, and Grenache which thrive in the cool, mountain altitude. 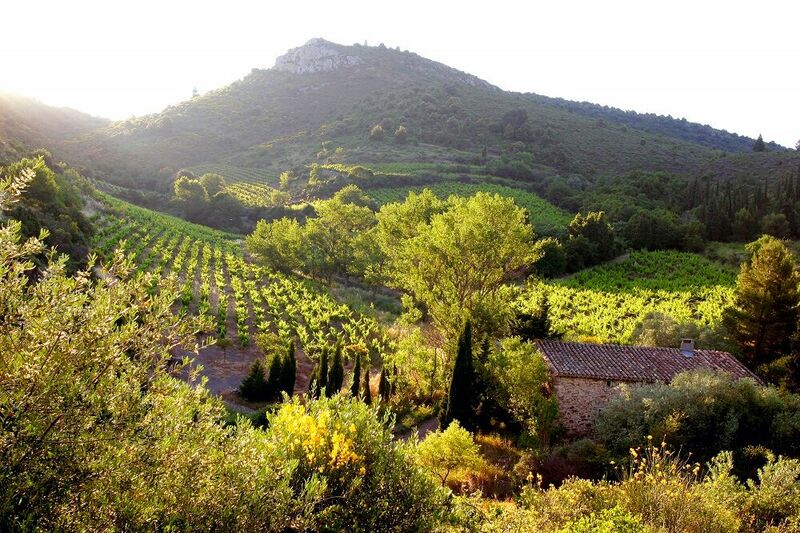 The list of incredible vineyards in the Languedoc goes on and on. This underrated region is slowing gaining recognition as an excellent and diverse wine region. Whether you are seeking a budget-friendly vineyard vacation or a good bargain at your local wine shop, Languedoc has much to offer. As people search for new wine discoveries and experiences, an increasing number of wine drinkers are turning to the authentic, quality wines of the Languedoc region. In fact, this underrated region is slowing gaining recognition as an excellent and diverse wine region. Whether you are seeking a budget-friendly vineyard vacation or a good bargain at your local wine shop, Languedoc has much to offer. Often sold for less than $20 a bottle, these wines serve as an affordable alternative to some of the other French wines that tend to carry heftier price tags. So, you can guiltlessly explore the whole Languedoc region, one glorious glass at a time, without draining your life savings. As you discover the spirit of Southern France, don’t forget to take advantage of the L’Aventure Languedoc promotion going on throughout September and October at these retail stores and restaurants in New York City.